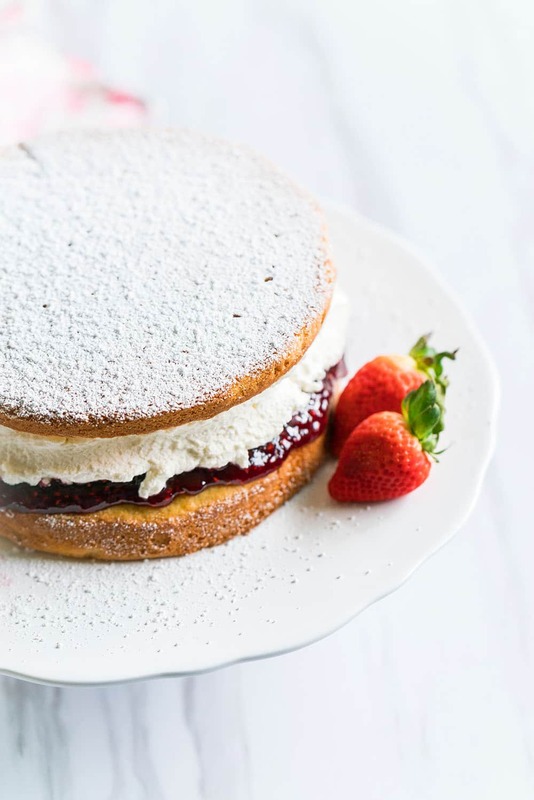 0.0.1 Victoria Sponge Cake is a classic British recipe and a necessity for any proper afternoon tea! 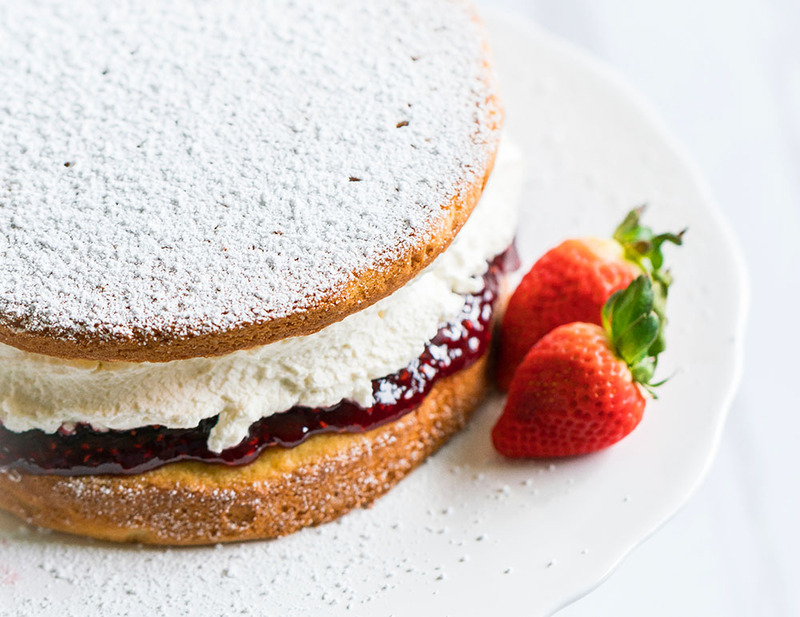 Victoria Sponge Cake is a classic British recipe and a necessity for any proper afternoon tea! When our family went to England for 3 months, we fell deep, deep in love with British culture, and British food in particular! I think it gets a bad rap sometimes, but oh how I love me some sausage rolls, meat pies, fish and chips, scones, clotted cream, and of course a classic Victoria Sponge Cake! Like my beloved scones and clotted cream, Victoria Sponge Cake can be readily found in most tea shops and bakeries around the UK and is a staple in many homes for celebrations and tea time. It is a simple cake to make, without too many ingredients or too much difficulty. My family fell so in love with Victoria Sponge Cake that I had to learn how to make it when we got back to the US for pretty much every single birthday. In the UK you will usually see it made with a buttercream frosting filling along with jam, but I like to lighten up the cake by using whipped cream and jam. 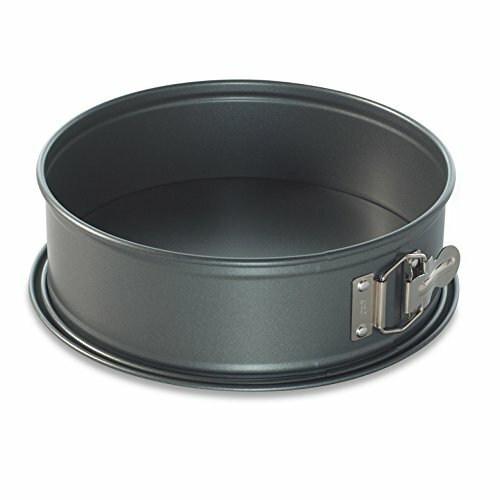 One thing I’ve found extremely helpful for making this cake is to use a spring form pan vs. a regular cake pan. Since this is essentially a “naked cake” and you won’t be able to frost over any imperfections, it is crucial that the cakes remain intact. These are my favorite spring form pans. Anna, the Duchess of Bedford, one of Queen Victoria’s ladies-in-waiting, is believed to be the creator of teatime. The Duchess suffered from “a sinking feeling” at about four o’clock in the afternoon. At first, the Duchess had her servants sneak her a pot of tea and a few treats into her dressing room. 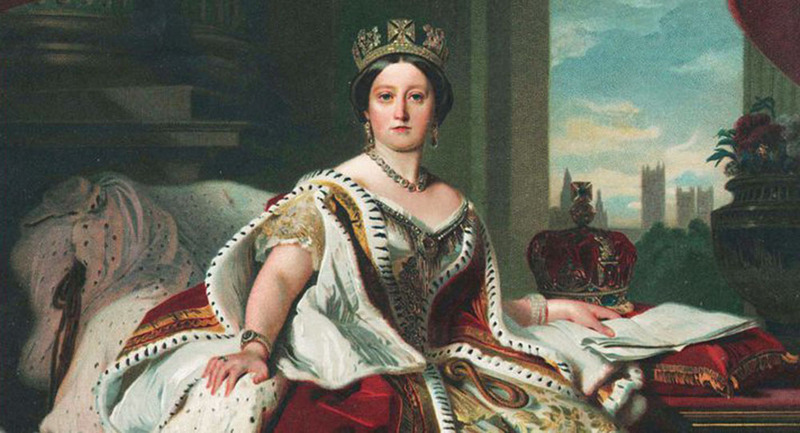 She then began inviting her friends to “tea,” then bringing the practice with her to London, where it quickly became the fashion, and soon a British tradition that has lasted nearly two centuries! 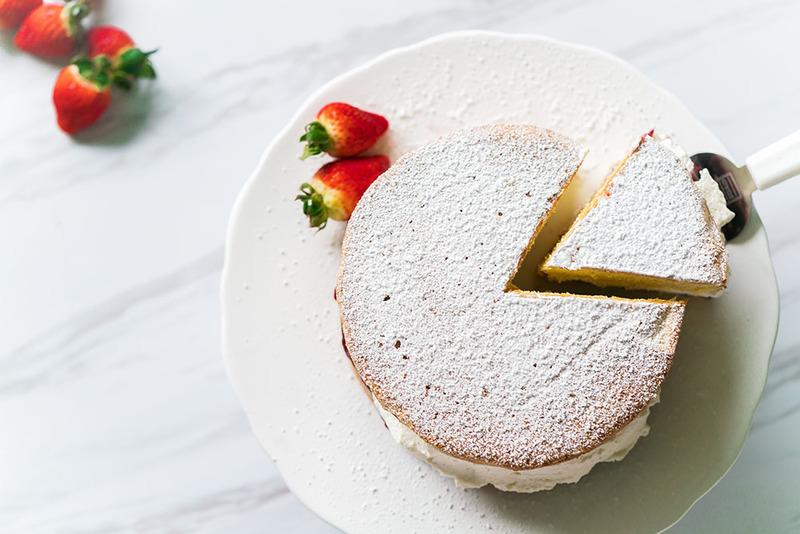 This simple cake was one of Queen Victoria’s favorites, known originally as a “Victoria Sandwich,” with any type of jam layered between two pieces of sponge cake. Not much has changed in the last two centuries. People are still having afternoon tea all around the world and still eating Victoria Sponge Cake to their hearts’ content. I love making this cake because it transports me back to England and also back in time! 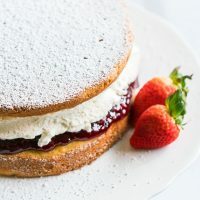 This delicious classic Victoria Sponge Cake is great for an elegant or casual afternoon tea, or any occasion! Set your eggs and butter out to soften. Once cool, place one cake (the larger, if they come out uneven) on a cake stand.